Gucci’s success, especially with the mainland’s young affluent, is a blessing and a curse for Francois-Henri Pinault’s luxury empire. The Italian brand accounts for 61 pct of sales. Finding another marque, like Valentino or Patek Philippe, to balance the business won’t come cheap. Top shareholder Leonardo Del Vecchio wants protégé Francesco Milleri to run the eyeglasses juggernaut. But he lacks both international experience and director support. A comprehensive, global search would turn up a better boss for the $50 bln group as it faces new challenges. Ever since activist Elliott showed up at Pernod, Paris has been awash in speculation that LVMH covets the $46 bln spirits group. Adding booze brands like Absolut to its portfolio would dilute LVMH’s luxury profile. Bernard Arnault’s public disavowal of a deal is believable. The UK fashion group’s founder Ray Kelvin has left amid an ongoing probe relating to his hugging of colleagues. With the shares down a third in a year and Kelvin still holding 35 pct, Ted Baker could be in play. 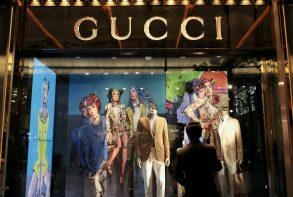 Chinese luxury players eyeing mid-market brands may come calling. The Parisian fashion house’s designer for 36 years, Karl Lagerfeld, has now died at 85. Its co-owners, two brothers, are approaching retirement. LVMH boss Bernard Arnault has the firepower to make a $40 bln purchase. Bankers may be salivating, but a deal looks a long way off. The Cartier owner said last year’s French protests were partly to blame for slowing organic growth. But Hermes and LVMH are more exposed to France, which brings in just 6 percent of Richemont’s revenue. Weakness in Hong Kong is a bigger worry for the $35 billion watchmaker. Paris wants to ease buyouts by cutting to 90 pct the bar for forcing out minorities. The new rules, along with a dip in luxury stocks, can revive the magnate’s interest in taking Christian Dior private. There’s no urgency for a leaner structure. But the bill may rise. Italian luxury brands have so far resisted becoming conglomerates like the French behemoth and rival Kering. But generational shifts by founders, combined with an aversion to political risk by global investors, may afford Moncler boss Remo Ruffini his opportunity to change that. Bernard Arnault’s champagne-to-handbags group is spending $3.2 bln including debt on the owner of Venice’s Cipriani. The multiple of 19 times expected EBITDA is as punchy as a Belmond suite. The French group will need all its limited hotel experience to make the deal work.